Billboard premieres The Oak Ridge Boys’ latest video “Pray To Jesus” | 2911 Enterprises, Inc. The Oak Ridge Boys are excited to announce the exclusive premiere of their latest video, “Pray To Jesus,” a song that was originally recorded by its co-writer, Brandy Clark, who was GRAMMY nominated for “Best New Artist” in 2015. 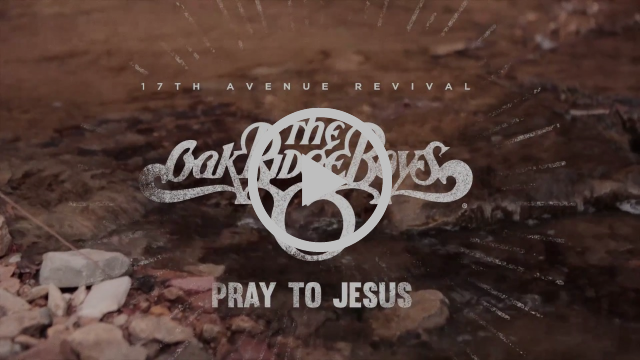 The video recently debuted via Billboard.com and is included in the Oaks’ forthcoming new album, 17th Avenue Revival, available everywhere March 16th via Lightning Rod Records. Recorded at Nashville’s historic RCA Studio A and produced by acclaimed pop/rock producer Dave Cobb, 17th Avenue Revival finds The Oak Ridge Boys returning to their gospel roots. But a different kind of gospel. One that took a hard look at the early days of rock and roll, which was influenced by spiritual, or black gospel. The Oak Ridge Boys are also set to play the prestigious GRAMMY Museum’s Clive Davis Theater on February 15th, for an intimate conversation and performance spotlighting 17th Avenue Revival. The performance will be hosted by GRAMMY Museum Executive Director Scott Goldman. The Oak Ridge Boys will also make an appearance on Hallmark Channel’s Home & Family February 14th, which will air the following day on Thursday, February 15th. In addition to providing a little help in the kitchen with hosts Mark Steines & Debbie Matenopoulos, The Oak Ridge Boys are also set to perform. Billboard is the world’s most influential music media brand reaching key executives and tastemakers in and around the music business through Billboard Magazine, Billboard.biz, Billboard Conferences, Billboard Bulletin, and other targeted newsletters, and millions of music fans through Billboard.com and Billboard Events. The Billboard brand is built on its exclusive charts and unrivaled reporting on the latest news, issues and trends across all genres of music. Billboard receives hundreds of millions of brand impressions daily through many strategic relationships with major companies across various industries. These relationships leverage Billboard’s brand recognition, proprietary chart data and information resources to develop products, live events and print, television, radio, digital and mobile platforms. In addition to North America, Billboard operates businesses in Brazil, Greece, Japan, Korea and Russia.